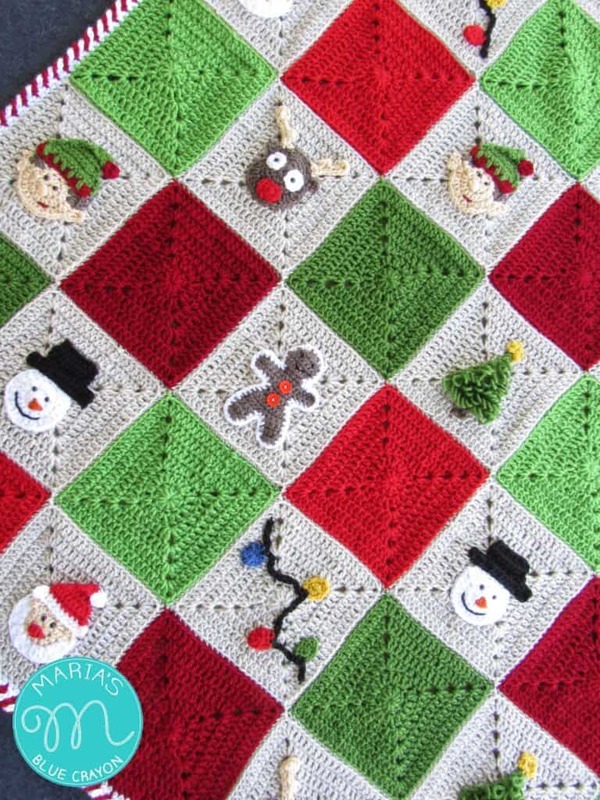 Who wants to join in on a crochet along to make a festive Christmas Granny Afghan?! I know many of you have been waiting on the complete materials list and I finally have it for you! It’s been a rough few days with having to get my wisdom teeth removed, but I pushed on to get the afghan completed so you all have some time to get all the materials needed. I have posted some details previously in this post if you want to check it out. Click here when you are ready to start the afghan! 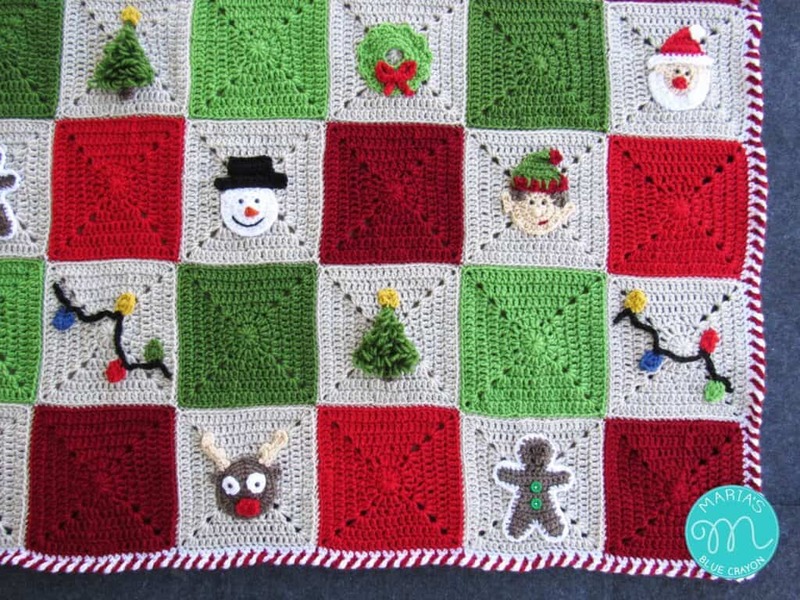 Below is everything I used to make the Christmas Granny Afghan. It is not required that you use the exact materials I did, but if you do plan on using different yarn – worsted weighted yarn would be preferable and watch your yardage as different brands have different sized skeins. All the yarn I used is Lion Brand Vanna’s Choice worsted weighted yarn that has 170 yards per skein. (Keep that in mind if choosing a different brand). Notes: If you are using different brands and would like to use similar colors, I described some of the color names of the skeins I used in parenthesis above as some of the names aren’t obvious as to what color can be substituted for. The colors used for the granny squares are linen, kelly green, fern, cranberry, and scarlet. 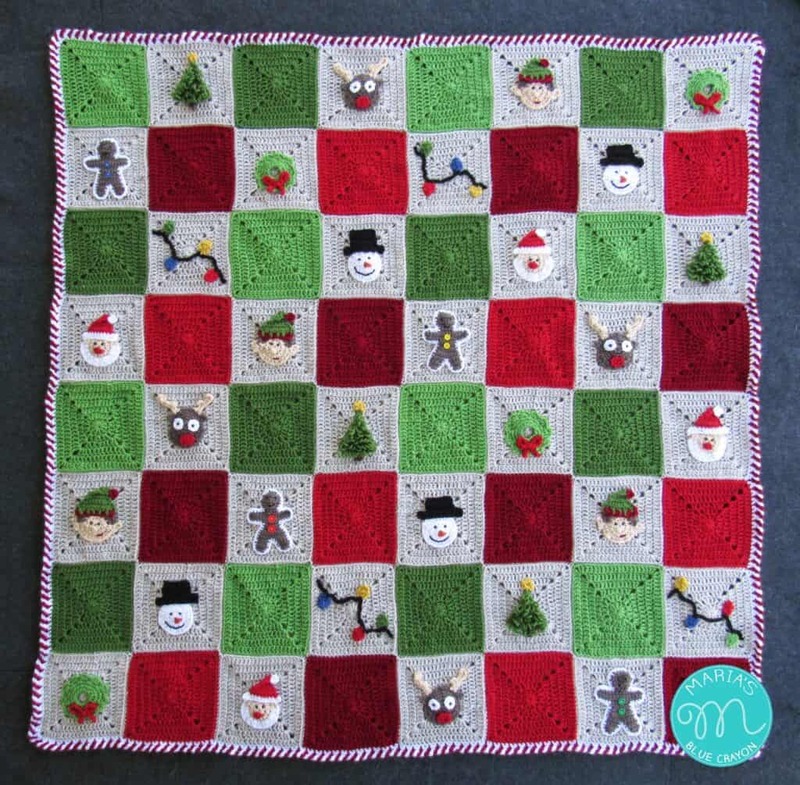 If you choose to make your squares different colors you will still need the kelly green, fern, cranberry, and scarlet for the appliques. The official start of the crochet along will be September 3rd! The CAL will run until the last week of October. Each week we will be making 8 squares plus a design and the very last week we will join and do the border. Grab your materials and get ready to begin 🙂 When you are ready to start, you can find the main page of the CAL here. Sign up for the mailing list on the side bar if you don’t want to miss anything! I’ve also made a Facebook group for everyone to share their works and for support/encouragement! See you there! *DC, HDC into next 2 stitches, DC, is this all in same stitch? is there a video i can watch?